Heavy, print curtains are increasingly in-vogue, thanks to their combination of colour, shapes and fabric. Ideal for windows that allow minimal amounts of natural light to creep in, so long as you utilise colours that match your overall design scheme, the results will be impressive. You can also invest in blinds or mesh material that features creative, frosted prints. These help to guarantee the privacy of the space and is ideal for street-facing windows at the front of your house. Kitchens are important spaces, whilst they require the requisite amount of light for people to work in. 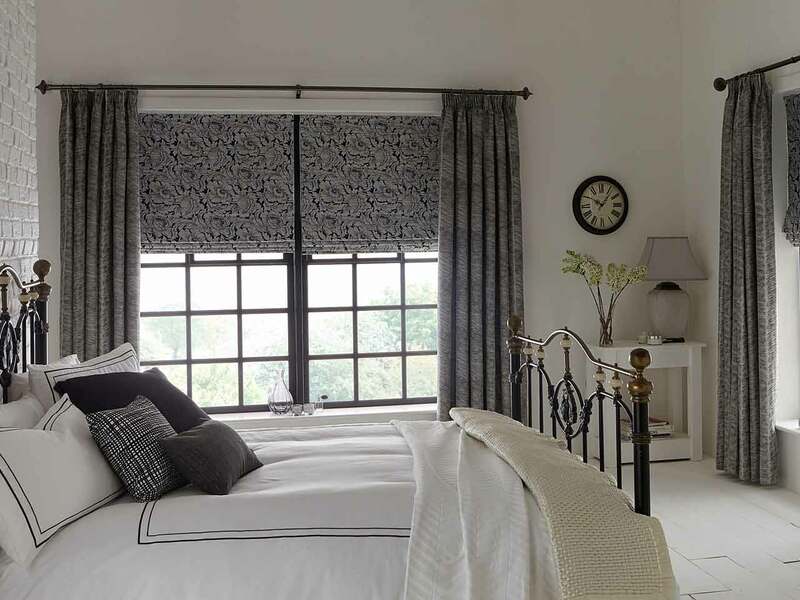 In this type of space, vintage-inspired Roman blinds could be ideal, particularly when it comes to shielding your eyes from the toppling sun. We have already touched on frosted prints, which work well in small and private spaces like bathrooms. Additionally, decorative frosted films are attractive to look at, functional and help you to avoid the use of heavy textures. Larger windows are required to optimise the level of natural light in any given space, so you need to dress them accordingly. Pleated blinds can help to achieve this, both in terms of design and functionality. You may also have irregular shaped windows, which can be difficult to dress effectively. Opting for custom-made shutters is key, as these help you to optimise any unusual shapes and turn it into a feature. For those with eclectic or changeable tastes, you can create new looks effortlessly with fabric change designs. These deploy a simple hook-on system that allows for the quick transition of fabrics, allowing you to choose colours and prints that suit your mood at any time! Roller blinds with hints of florals and glitter are ideal for south-facing living rooms, as they help to repel bright sunshine during the summer. They still allow diffused beams of life to creep in, however, helping you to create the ideal balance. For bedrooms (particularly those at the front of the house), blackout panels help to repel noise whilst also keeping the light out. These can help you to enjoy a good nights’ sleep no matter what is going on outside! The introduction of bold colours into the interior is a new and exciting trend, so colour block blinds are especially popular right now. Ideal for larger rooms, they project a strong design statement and help homeowners express personality.